Add Remote Guests. Engage With Your Viewers. Whether it's the insights of an expert, the perspectives of a pundit, or live reporting from the field, bringing in remote talent can add real value and interest to your productions. Today, these remote segments have become a standard part of video programming - from the largest network broadcasters to small web-based productions. 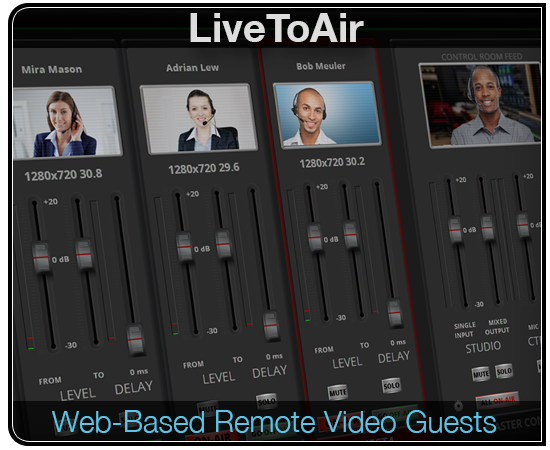 This is where we started with our LiveToAir™ product - the first system that enabled remote participants to join professional video productions right from their browsers. 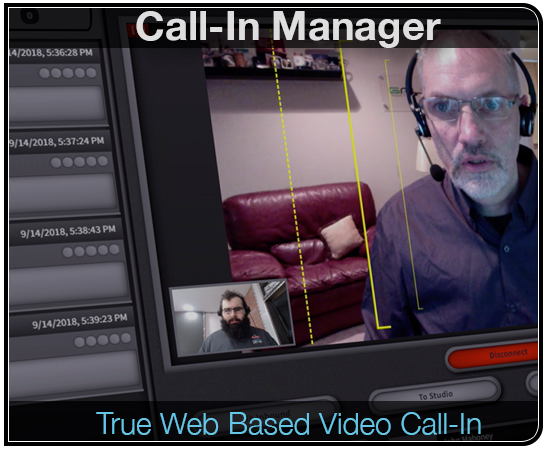 In 2015 we introduced Call-In Manager™ - a companion product to LiveToAir that lets viewers participate in a show with a single click on a web link - in full HD video with no plug-ins or downloads required. With Call-In Manager, we took everything that makes "Talk-Radio" so compelling, and re-imagine it for the video world. Callers could be queued up, screened by a producer, grouped, ranked, and either brought ON-AIR or dropped. Call-In Manager added a whole new range of production opportunities that moved beyond the historically one-way nature of video. It let producers engage and interact with their audiences in ways that were never possible before. And now all of these capabilities are available in a whole new package, at a compelling new price. Call-In Manager is now a native web-based application and it is bundled FREE with every version of LiveToAir - all starting at under $1000. We even have subscription options for as little as $35/month. Explore the site to find out more, or reach out to us if you have any questions. We'd also be happy to set you up with a 30 day free trial of LiveToAir and Call-In Manager so you can try it out in your own studio environment - just click the blue button below to get started.